In the meantime, the weather & squirrels are keeping me busy. On New Year’s day, it was so cold that the water in my bucket froze. Sadly, my nasturtiums didn’t fare well, nor did my beans. I’m hoping the warmer week will help defrost what is left. I was hoping to start some new seeds during the holidays but it was too cold and my greenhouse is tiny and already full. While I was at work this past week, the squirrels decided that they enjoy eating salad greens so ate a few of the leaves despite them being covered with a row cover. The next day, my in laws saw the squirrel pulling off my row cover and trying to pull it up the oak tree. I came home to the cover wrapped around the trunk and with squirrel bite marks all over it. Very determined squirrels we have. I have high hopes for the 2015 garden despite nature’s challenges. Since I didn’t take any photos this weekend, here are some Camelia flowers from Descanso & Huntington gardens from this past week as well as a pretty bloom from our surviving succulents. 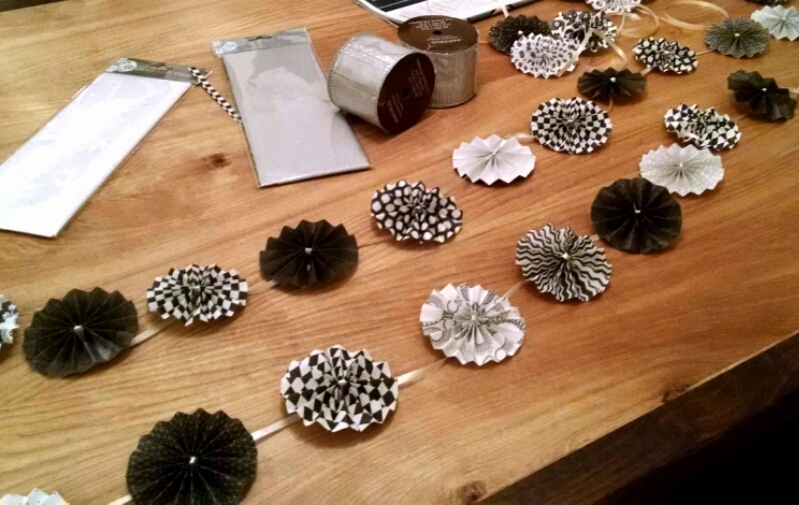 I’m also working on some paper flower decorations for a friend’s bridal shower. Flowers make me smile. Gosh, I didn’t think LA ever really got freezes. I hope you stay warm! Your camellias are so pretty. 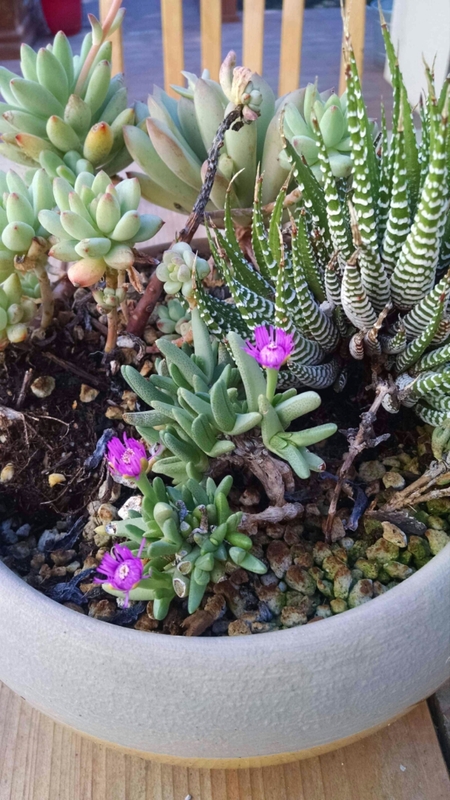 I’m in northern Oregon, and mine have been budding for about a month now. Seeing yours reminds me of what I have to look forward to! How exciting! 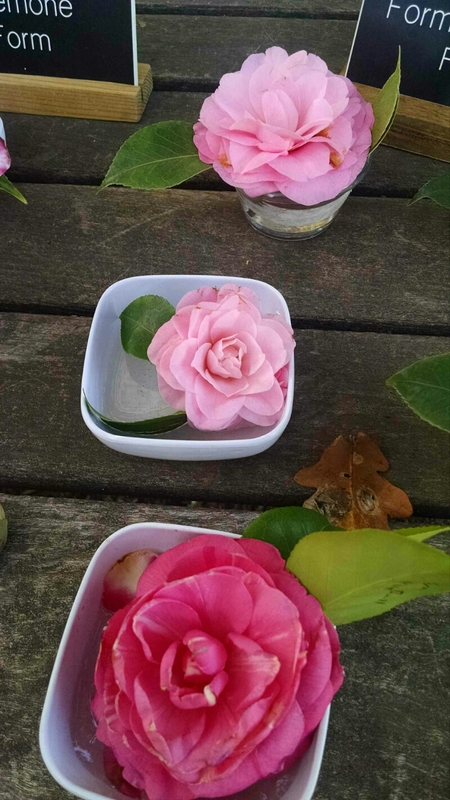 Hopefully you’ll get lots of pretty camellias soon. They are so beautiful. The squirrels have eaten my carrots right down to the soil surface, sigh. Thank you for following my blog and Happy New Year. I haven’t posted much about gardening lately because things have really slowed down. I’m thinking of getting a grow light to start seeds indoors. I like your 2015 resolution, similar to my own. Poor carrots. I always thought squirrels only ate acorns but it seems they like veggies too. Happy new year! I hope you have a fruitful year of gardening ahead.